Confession: I bought this Estee Lauder Exotic Orchid Pure Color Long Lasting Lipstick in May or June (together with a matching gloss that I'll show you tomorrow), took photos but didn't like any of the swatch shots, so I put it in my "retake" file and kept procrastinating. 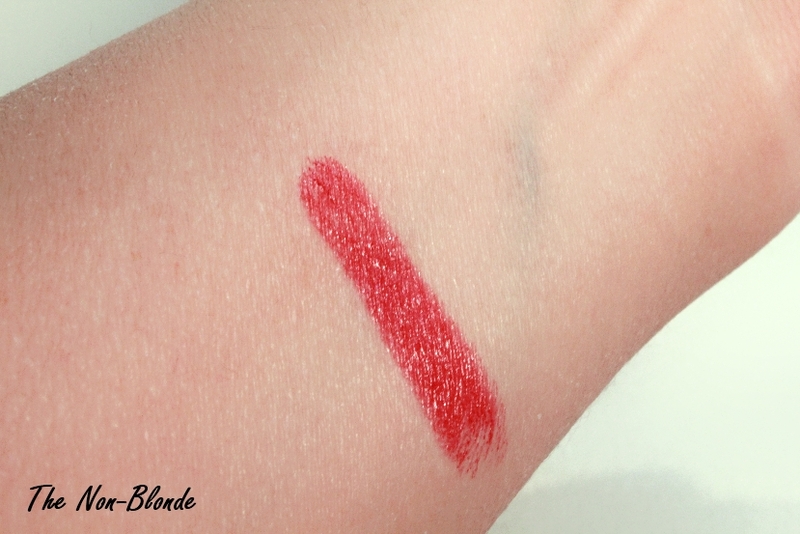 I have been wearing the lipstick, though, so finally figured it was time to actually reswatch and, you know, blog about it. Which brings us here. 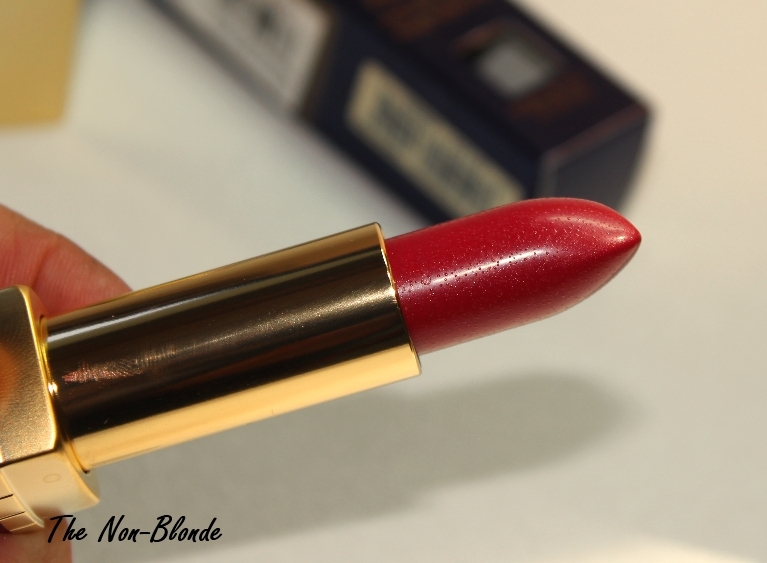 There are several different ranges in Estee Lauder's Pure Color lipstick line, and with the wide selection of colors (not complaining here!) it can be quite confusing. Exotic Orchid is from the Long Lasting range, which is far more creamy and comfortable to wear than I had thought. It's enriched with apricot kernel, shea butter and murumuru butter (don't you love this name? ), and definitely feels this way, while the color is, indeed, long lasting. 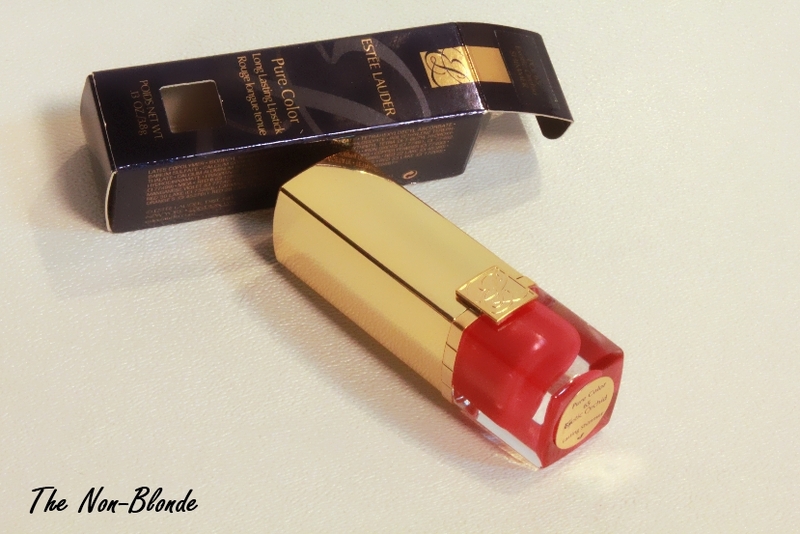 The finish of this Lauder Pure Color Long Lasting Lipstick is satiny and rich, not quite opaque, though it can be built. It's light enough to be fine when applying straight from the bullet, but I like to use a brush to get the most out of its elegant texture and longevity. Looking at Estee Lauder's website the sample photo they have of Exotic Orchid looks purple and quite orchidy. As you can see above, that's most definitely not the case. I've been wearing it for months now and have taken enough photos to confirm that Exotic Orchid is actually a strawberry red. It's flattering (almost universally, I'd say), easy to wear and not too bright. But orchid? Not really. The scent of Estee Lauder lipsticks is somewhat notorious. I don't know why they insist on keeping it the way things smelled during the reign of Queen Estee, but even I who don't mind fragranced products and have a soft spot to classic lipstick smell find it a bit off putting. Thankfully the scent evaporates before I even step away from the mirror, so it's not that big of a deal. Estee Lauder Exotic Orchid Pure Color Long Lasting Lipstick ($25) is available at your local counter as well as from esteelauder.com. 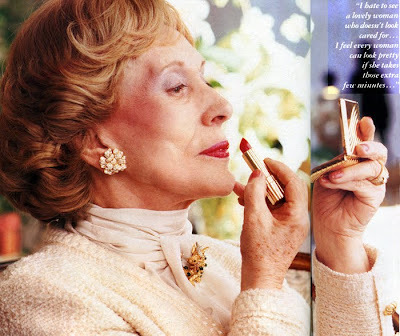 Photo of Estee Lauder applying her lipstick via myvintagevogue.com. It is a pretty colour, but on the site is was described as being in the mauve and plum family. I suppose that is where they got the orchid idea from. I think I am going to go see it in person. 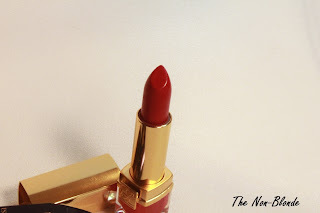 A lot of Estee Lauder lipsticks have not been all that good for the past few years, but I have not seen this line and hope that they have returned to the high quality that they used to be. It seems that you have found them so, and I look forward to trying one. The fig scent, as far as I remember from my "Estée University" classes, was introduced with the Pure Color Lipstick back in 2002/3. The All Day Lipsticks smell far worse. Frankly, the Edward Bess lipsticks' fig smell is far stronger to me.